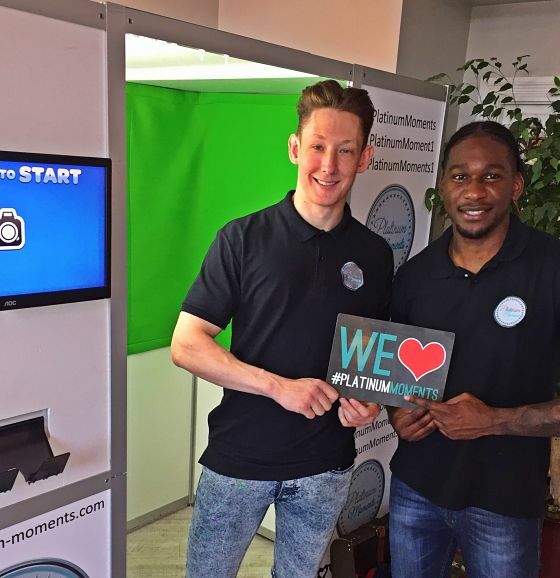 Specialising in providing party equipment to hire for a wide variety of celebration events, Canvey Island-based start-up Platinum Moments Limited sought the support of Nwes to boost business. Business support and advice from Nwes through the Essex Growth Programme, and a successful application for a Start Up Loan gave Platinum Moments Limited a platform upon which they could strengthen their offer. We spoke to one of the business owners, Ade Adeosun about the impact of this support. Tell us more about Platinum Moments Limited. We have equipment for hire for all kinds celebration events. This ranges from magic mirrors, photo booths, sweet carts, and giant stage letters. We also provide services for parties such as DJs & Magicians. Our goal is to become a one-stop-shop for people wishing to throw memorable parties and events. My business partners and I have turned a solid friendship into a successful business. All three of us have backgrounds in sales and, as a result, we have outgoing and vibrant personalities. We find it easy to talk to people, enjoying meeting new people, and we are committed to working hard to achieve our goals. We’re all in our twenties and own a business! When we speak to our peers, they can’t believe it! Seeing the surprised looks on people’s faces definitely keeps us going and motivated. We admire people such as Richard Branson and Alan Sugar. They haven’t come from privileged backgrounds, but they have done extremely well for themselves. Their stories continuously inspire us to be great. Have you encountered any challenges? There were some challenges along the way; the excitement of having our first business cards overtook the proofreading process; it wasn’t until 500 were printed that I noticed a spelling error. We also encountered some technical problems, and realised that choosing a cheaper option for our website, wasn’t necessarily the less expensive choice after all. However, we all believe that there’s no better way to learn than from your own mistakes. Each time we’ve had a setback, we’ve bounced back even stronger. I wouldn’t change our journey one bit! The hard work was all worthwhile when we gained our first customer just six weeks after launching, following a referral from a friend. It felt amazing! We were all happy that somebody had seen value in the service we offer. It definitely left a good taste in our mouths. Since that point we have covered Essex, Greater London, Kent and beyond. Tell us about the highlights of being business owners. The day we received certificates to officially state we were business owners and Platinum Moments Limited was now a registered company is definitely ‘up there’ as one of the highlights. We have relished coming up with deals and testing them on a live market. We have also seen our social media platforms develop into busy, interactive pages. What has been the impact of support from Nwes? Nwes have been a joy to work with, especially our Business Advisor, Gillian Austin. Not only did she take a genuine interest into our business, but she supported us to obtain a grant that we previously had no idea existed! Since working with Nwes, we’ve also learned about networking events which we can attend locally, and we know we have a respected body we can always turn to for support. It’s allowed us to grow our equipment supply faster, so it’s had a huge positive impact on our growth plans. Running our own business has been one of the best experiences in our lives so far. It’s not easy, but it’s definitely much easier than we thought it was going to be before we started.